Langport had a parish workhouse as early as 1743 ("Dunning, 1974). In 1761, a house on the hill near the church was rebuilt for use as a poorhouse. A new poorhouse at the west side of North Street was opened in 1820. A parliamentary report of 1777 recorded a parish workhouse in operation at Babcarry for up to 10 inmates. 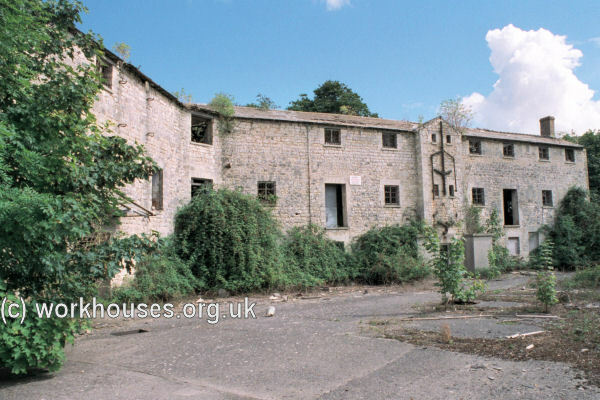 There was a parish poorhouse in Charlton Mackerell, just south-west of the parish church in West Charlton, dating from the 1780s. It appears on the 1809 Inclosure Award map, though with additional buildings at one end on the road side. Somerset record office has plans of the building and an undated estimate totalling £80-11s-5d for its construction which comprised four two-storey dwellings in a long building, made of local stone, elm and thatch, with a pavement and garden. There are also accounts dated 1789-1794 for various repairs, mainly "righting the wall in the poorhouse garden". It was sold to the local landowner, Francis Henry Dickinson on 11 December 1838 in return for £190 paid to the "Charlton Mackerell parish property account". It was subsequently demolished, possibly after a fire, and the stone may have been reused in the schoolroom and schoolhouse built close by in 1852-3 by the Brymer family on land donated by FH Dickinson. Somerset: Aller, Babcary, Barrington, Barton St. David, Beer Crocombe, Charlton Adam, Charlton Mackerell, Compton Dundon, Curry Mallet, Curry Rivel (2), Drayton, Earnshill, Fivehead, High Ham (2), Huish Episcopi, Isle Abbots, Isle Brewers, Keinton Mandeville, Kingsbury Episcopi (2), Kingsdon, Kingweston, Langport (2), Long Sutton, Muchelney, Pitney, Puckington, Somerton (2), South Bradon, Swell. The population falling within the Union at the 1831 census had been 16,354 with parishes ranging in size from Earnshill (population 12) to Somerton (1,768). The average annual poor-rate expenditure for the period 1833-35 had been £5,455 or 6s.8d. per head of the population. Langport Union workhouse was erected 1837-9 at Picts Hill and was based on Sampson Kempthorne's model hexagonal plan published by the Poor Law Commissioners in 1835. An entrance block at the north would have contained a porter's room, waiting room, offices and the Guardians' board-room where they held their weekly meetings. Langport entrance block from the north, 2000. To the rear, three three-storey wings radiated from a central hub. Different categories of inmate (male/female, infirm/able-bodied etc.) occupied different sections of the workhouse, with the area between the wings divided into segregated exercise yards. Langport from the south-west, 2000. The supervisory hub probably contained kitchens on the ground floor with the master and matron's quarters above. Windows all around the hub provided views over all parts of the workhouse yards. Langport from the south-east, 2000. 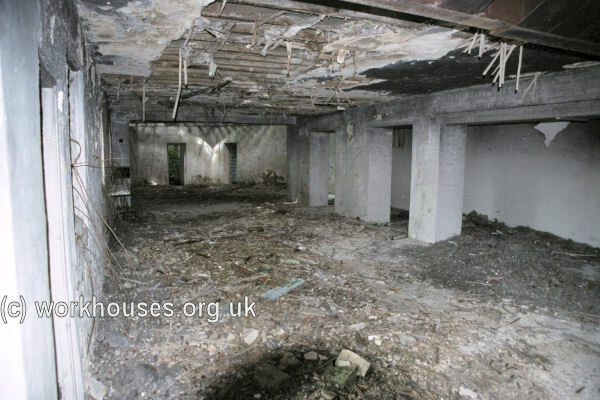 During the Second World War, the building was used as a military detention centre. 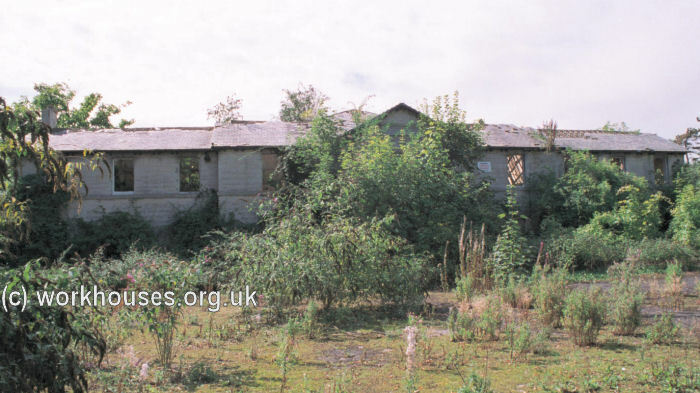 In more recent times it was used as a poultry farm and egg-packing facility but was then left derelict. The site was redeveloped for residential use in 2004. 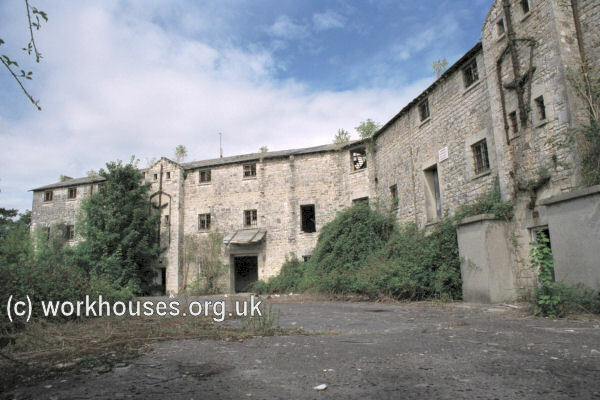 Plans to incorporate the workhouse building into the new scheme, known as Hamdown Court, were scuppered after the builders, Bellway Homes, demolished the structure in defiance of the planning agreement they had received from the local council to retain the facade. The builders claimed this had happened "accidentally". Somerset Heritage Centre, Brunel Way, Langford Mead, Norton Fitzwarren, Taunton TA2 6SF. Only a few records survive including: Guardians' minute books (1881-1930); Admissions and discharges (1890-1919); Births (1886-93), 1914-31); Deaths (1914-31); Indoor relief lists (1913-16, 1919-21); Creed register (1906-16); Offences and punishments (1871-99, 1923-31); etc. Thanks to Celia Mycock for information on Charlton Mackerell and Langport's demolition.